So, yeah. I've been a little MIA on this blog the past couple of weeks. Sorry about that! Unfortunately, when things get crazy around here, blogging is one of the first things that gets pushed onto the back burner. I'm not thrilled about it, but that's just the way it is right now with Thad so busy with the church plant. It'll all be worth it though, and I love my life! I thought I'd use this post to share a bit about what's been going on while I've been away from the blog. My aunt and uncle came to visit two weeks ago. I totally forgot they were coming. Oops! I got a call from my aunt on Friday night: "So, we can't wait to see you on Sunday night!" I was like, "Uhhhh- what?" Haha- niece of the year award right here. They only stayed two nights before they headed off to a European cruise(so jealous!!! ), but we had a great visit with them. We got some shopping in(we always shop when my aunt comes in town- I love it!) and had a nice family lunch at Pappasitos. 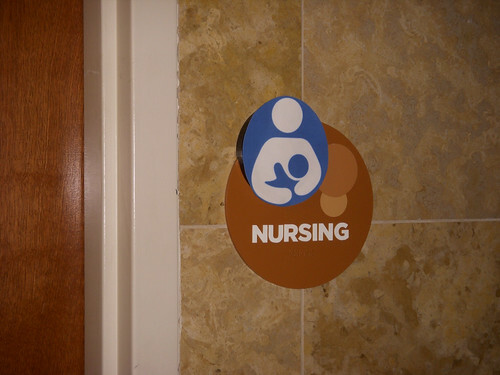 While we were at the mall, I stopped by the restroom area to see if the nursing symbol I put up was still there. Sure was! It looked a little bent up, like someone had tried to remove it or see how it had been attached, but I made it sturdy enough to withstand a little messing with, and it's still going strong! Yay!!! Then PMS hit. I've written about how GAPS has drastically improved my PMS(probably more like PMDD, if I'd ever gotten an actual diagnosis, not that it actually matters at this point), and it has, but for whatever reason this month was worse than the last couple. I just felt down in the dumps, irritable, and irrational. Minor disturbances had me considering drastic measures. There was lots of negative self talk going on in my head, and just general mental and emotional lethargicness- and that was at the good moments. Thankfully, I know myself well enough to know that all of that was just hormones talking, and I'd make it through just fine within a week or so, and be back to normal. I still wasn't feeling healthy enough to be writing anything worth reading, unless you want to read stuff that's going to leave you scratching your head or feeling depressed. Blog got pushed to the back burner- and you should be glad about that one. Just as I was getting over the PMS, Hayden's birthday rolled around. I can't believe she's four years old already!!! It's been interesting watching myself grow up with her. Her birth was the start of a whole new chapter in my life, and I literally don't recognise the person that I look back on before she was born. I'm a completely different person now- and proud of who I've become. But enough about me- it was Hayden's birthday! We celebrated with a low key party at the bowling alley. Thad's mom was there, and my pregnant sister and her husband and little boy. A friend from church and her daughter came too. It was just a small party- since we've been here less than a year, Hayden doesn't go to school, and one car keeps us from getting out much, Hayden doesn't have a lot of little friends to invite yet. But she still had a blast, and that's the most important thing when it comes to birthday parties, right? We'll try to have more of an actual party next year. 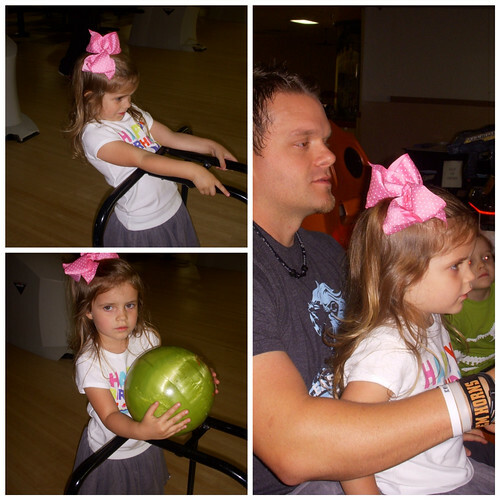 It was both kids' first time bowling, and they totally loved it. Tristan couldn't stop squealing excitedly. I don't think I've ever seen him more excited about something! The bowling alley had ball slides for little kids, and they were so cool! I've never seen them before, but they were just perfect for my little ones. Such a great idea. 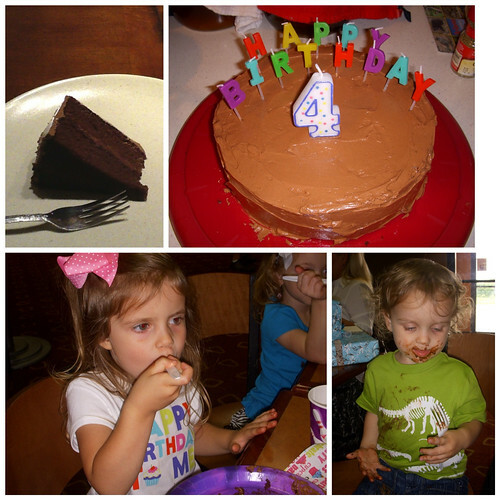 The excitement wore off pretty quickly since Hayden knew there was CAKE to be had!!! The kids have been grain and sugar free since the beginning of February, so cake is a pretty rare treat around here! I made cupcakes for Tristan's birthday, but this is the first cake I've made for them, so Hayden was pretty excited. (It's actually the first cake I've had since going gluten free, so in about a year and a half. Wow!) It tasted great, and even the SAD eating guests enjoyed it. Unfortunately, I confirmed my suspicion that I can't tolerate cocoa. Bummer. I wonder if that's something I can cure with GAPS, or if I'll never enjoy chocolate again. Wouldn't that be sad? Honestly though, as much as I was addicted to chocolate before, I'm willing to give it up forever if I have to do that to be rid of my health issues! The kids had some minor reactions to the cocoa too- I think we'll be avoiding it completely for a while. Hayden says she wants a strawberry cake when she turns 5, so I think we'll be in the clear! 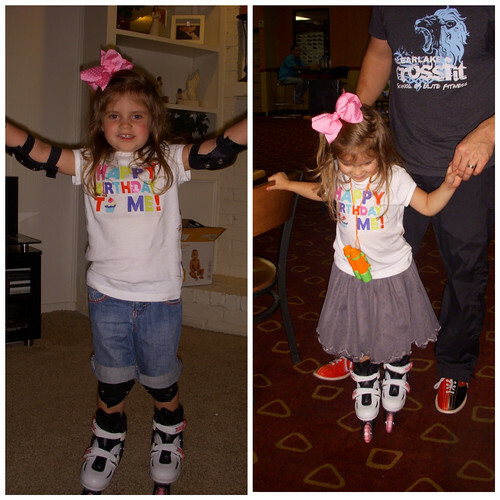 Hayden got the gift that she wanted most of all- roller skates! 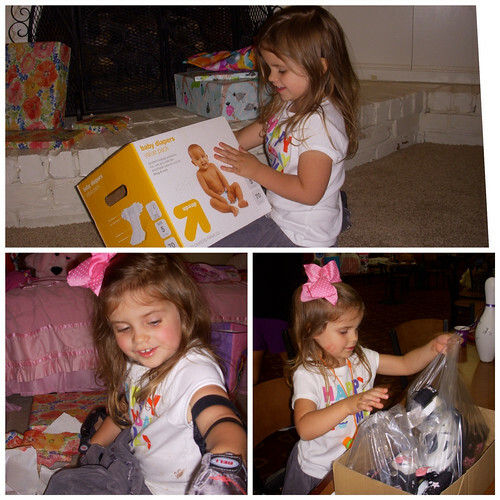 She was so, so excited when she opened them. I'm sure it will take her a while to get the hang of actually gliding, but she's having fun practicing! Thad's mom refinished a little table and chairs for Hayden's room. They are so cute! Hayden's been wanting a table and chairs for a while now. 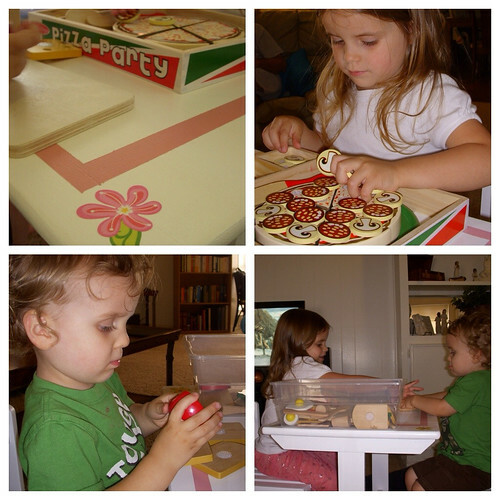 She and Tristan have played on them every day- mostly "pizza party". Other than that, life's just been busy! Our church's one year anniversary is coming up at the end of this month, and Thad has been really busy preparing for that. I'm so excited for the celebration service! We've officially been having church services for a year now! It seems like a lot longer than that. It's so wonderful to see my husband finally walking in his calling and doing something that he truly loves. He's being used in a big way to change lives and grow the kingdom, and I'm so proud of him. And the church is growing! We're averaging between 60 and 75 people every Sunday morning, and the sense of community has really blossomed. It actually feels like a real church now, and has for about 3 or 4 months. So exciting to see! Last but not least: my exciting news! I'm officially registered with Childbirth International and studying to be certified as a birth doula! I'm so, so, so excited!!! I'm finally taking a concrete step towards my dream! Obviously, it's not realistic for me to attend births right now. We have one car, and we're just over a year into our church plant. Thad is extremely busy with both the church and his other job. It's totally unrealistic for me to be on call in any capacity right now. But what I can do right now is study! We're expecting Thad's schedule to open up within the next couple of years, and hoping to get another car a lot sooner than that. At the beginning of this year, I got to thinking- while I'm waiting for life to slow down enough for me to be able to attend births, why not get the studying out of the way! I'm at a point in my life where I'm wanting to take charge of the direction that I'm headed. I don't want to just sit around and wait for things to happen. So I'm not very excited to say that I'm taking the first step towards becoming a birth doula! It might take me a while to finish, but that's ok. Right now, I'm just happy to be taking a step in the right direction. Since I'm the only one home with the kids most of the time, it'll take some creativity to fit in study time, but I'll find a way. The great thing is that I have three years to finish the course, so there's no hurry. I think I'm most excited about the books I'll have to read- there's a 27 page list of books that I can choose from to meet my reading requirement. Totally stoked about that. I can't wait to see what all I'll learn, and to start attending births at some point in the not-too-distant future! Sorry this was a bit scatterbrained. I feel a bit scatterbrained right now with all that's going on! I don't have a good ending for this post, and I want to hurry up and get it up, so I'll leave you with this picture I got of me and the kids on Hayden's birthday. 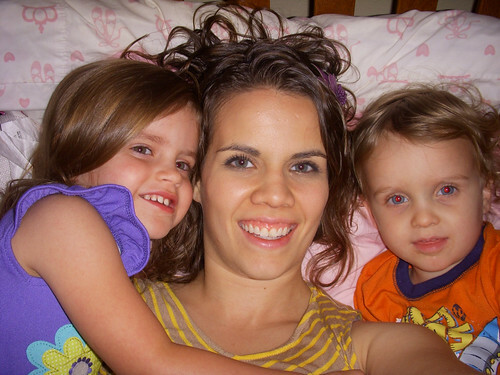 I'm so thankful to be their mommy! Congrats on doula training! I'm also hoping to register with CBI at some point this year. I would love if you could do a review of the program once you get a further bit into it.